In September of 2016, Philadelphia Jazz Project [PJP] and a group of collaborators presented nine days of free events celebrating the 90th birthday of the legendary Philadelphia Jazz artist, John Coltrane. It was called, Coltrane At 90: Philadelphia Celebrates John Coltrane. 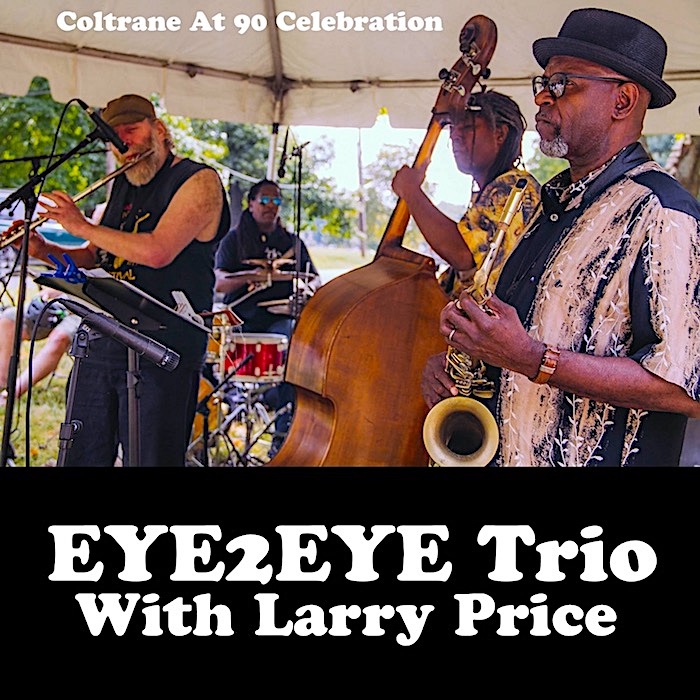 Among the many events that took place, the Eye2Eye Trio featuring Larry Price was one of the more adventurous. The Eye2Eye Trio is a Philadelphia-based Jazz and World Music ensemble that also extends to spontaneous improvisation consisting of Elliott Levin - saxes & flutes, Bert Harris - bass and Kimpedro Rodriguez - drums. This magnificent trio joined up with recent Philly addition, alto saxophonist, Larry Price, as a quartet. 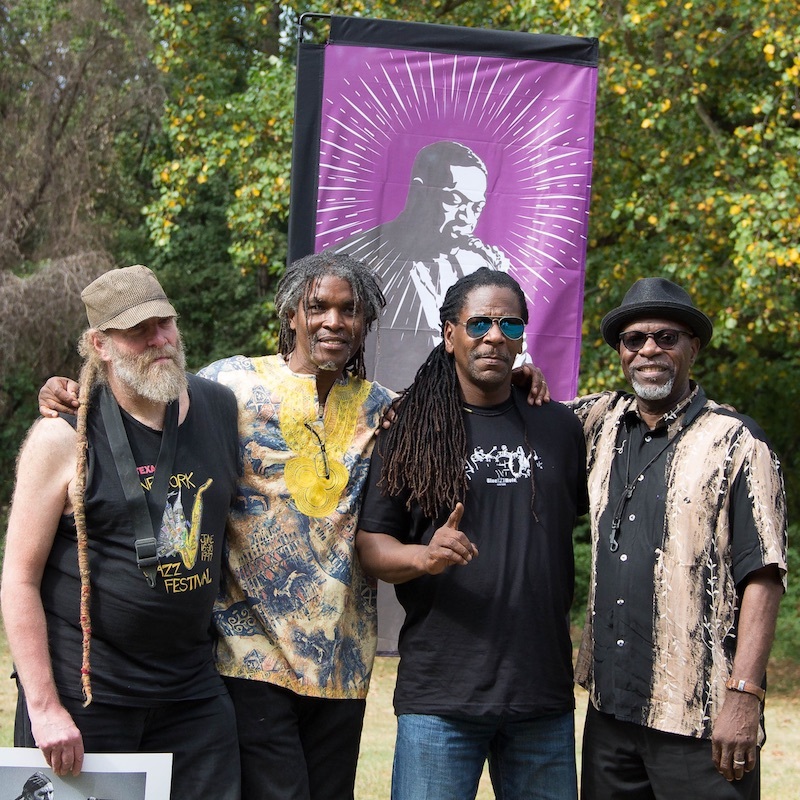 On Saturday afternoon, September 17th, 2016, the ensemble performed a powerful set as part of Coltrane At 90, at the Jazz Walk - Giant Steps outdoor event at East Fairmount Park, just around the corner from the Coltrane House. 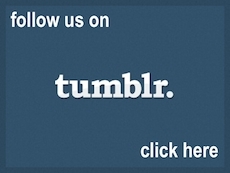 PJP captured the audio from that awesome event and share it now as a mixtape. Download the Eye2Eye Trio - Jazz Walk Mixtape Below. 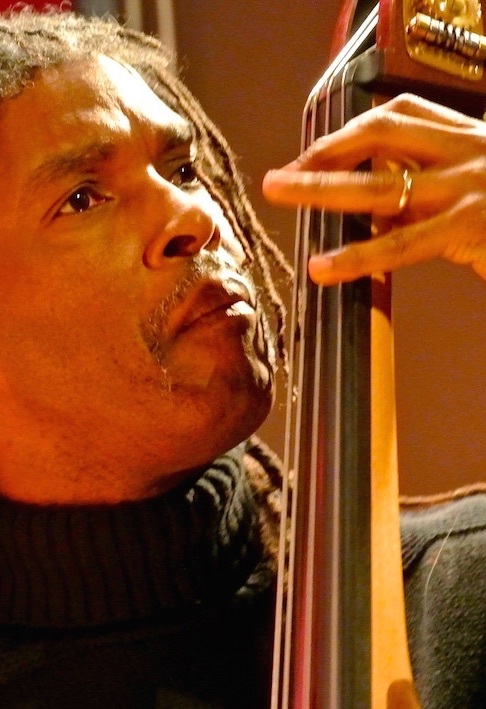 PJP spoke with Bert Harris, bassist of the Eye2Eye Trio about the event and John Coltrane. Bert Harris: It was a beautiful sunny day. The vibe was really chilled. The audience was really open and receptive to each performance that day. We were following the Space Whale Orchestra and until I heard them, the name gave no clue about their music. Their performance was just the kind of originality inspired by artists such as John Coltrane, Sun Ra and Ornette Coleman. Eye2Eye with Larry Price opened with Equinox, one of Trane's, deeply spiritual, minor blues tunes and we continued with mostly, well known Trane tunes. A highlight of the day for me was the duo of Elliott Levin and Terry Lawson who delved into Coltrane's, Interstellar Space. Bert Harris: His range is so wide... Blues, Ballads, modal, BeBop, Straight Ahead and Avant-Garde... The challenge is to be able to cover such a wide palette. Here's a musician who took the song, My Favorite Things, played it as a standard and also as a free-jazz launch pad. Bert Harris: I'll just speak for myself here. But, I hear so much in his music. It's like a soundtrack for life.... tears, pain, joy, laughter, rage, peace and elevation of the spirit. Bert Harris: I was in my early twenties. I was a college student at Morehouse College in Atlanta and I was introduced to A Love Supreme. Wow!!! That tune was the bridge into his music for me. Bert Harris: Being a bassist, Jimmy Garrison's [Philadelphia and member of Coltrane's Classic Quartet] ability to anchor the band and to swing caught me up and wanted to hear more. Of course, the bassline in, Acknowledgment [from A Love Supreme] is just iconic!!! I don't think understanding John Coltrane's music is what it is for me. What I do understand from him is to play what you feel and hear and the importance of practicing, so you can have the skills and techniques to play what you hear. He was so honest. All written by John Coltrane. Bert Harris is a bassist in the Philadelphia World Beat, Blues, and Jazz scene. 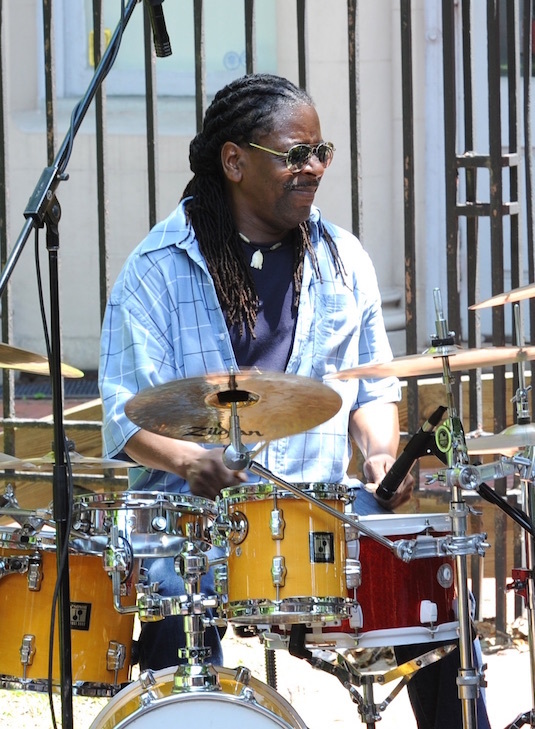 He is a member of the Eye2Eye Trio, as well as Philly’s best known New Orleans funk, blues, and reggae band, Philly Gumbo. Harris also performs with the Melange Jazz Collective, Timi Tanzania and the Dubway Reggae Band, and ska-jazz band, Rock$teady. He also leads his own ensemble the Jazz Planet. 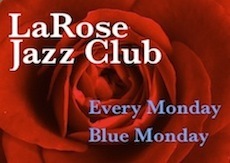 Bert Harris has performed with Byard Lancaster, Robert Kenyatta’s La Tumba, Bobby Watson, Khan Jamal, Elliot Levin, Jeannie Brooks and Brenda Smith. 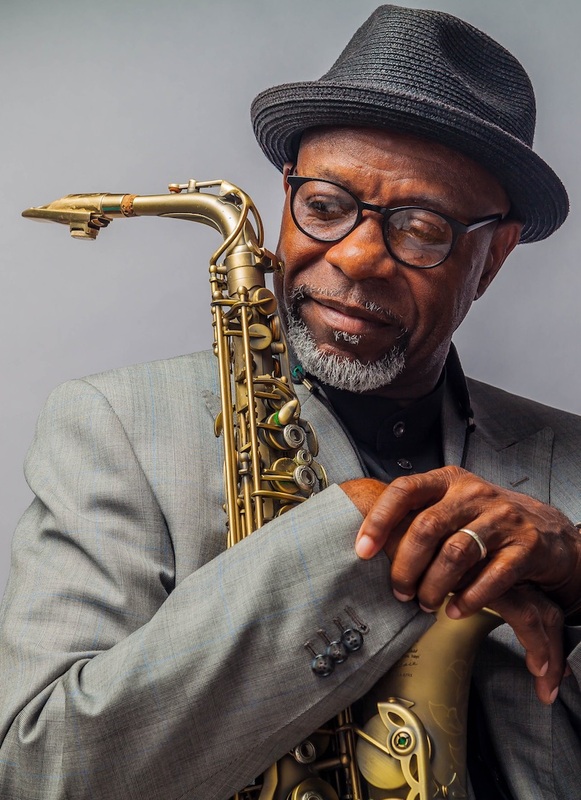 He has recorded two CDs with the legendary saxophonist Byard Lancaster, “Astral Link Hotel” and “Pam Africa” available at Creative Improvised Music (CIMP). Philly Gumbo’s latest CD, “Come and Get It,” is available thru CD Baby and Dusty Groove. 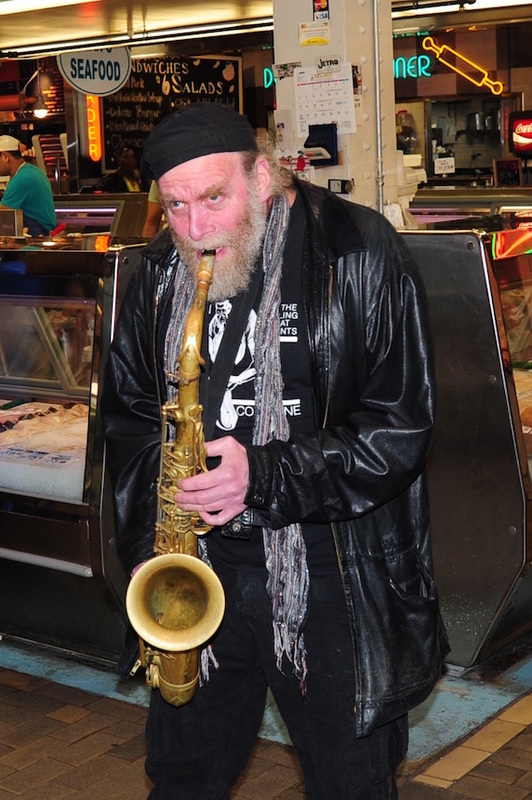 Elliott Levin is a Philadelphia saxophonist, flautist and poet. Levin has worked with Harold Melvin & the Blue Notes, The Sound of Philadelphia Orchestra, Tyrone Hill, Odean Pope's Saxophone Choir and Jamaladeen Tacuma. Levin's worked with Cecil Taylor's groups; Phthongas and Unit Core Ensemble and can be heard on the Cecil Taylor FMP album, Live in Berlin. On the poetry scene, he has performed with Miguel Algarin, Gloria Tropp, Mbali Umoja and Frank Messina and his work appears in the L.A. Weekly, Blue Beat Jacket, The Painted Word and Poets and Prophets. He has received awards from The City of Los Angeles Cultural Affairs Department, Pennsylvania Council for the Arts, and the California Endowment for the Humanities. Larry Price is a Philadelphia-based alto saxophonist, vocalist, arranger, composer, and producer, who resided in Finland from 2002 – 2014. During that span of time, he presented lectures, workshops, and performances in Finland, Sweden, France, Belgium, Russia, Estonia, Lithuania, Turkey, Kenya, Spain, Portugal, Germany and Canada. 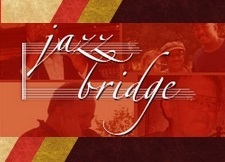 He also worked with some of Europe’s most prolific artists including, Finlandian vocalist, Bianca Morales, and Ukrainian classical pianist Viatceslav Novikov.​ Larry Price has also performed with noted American artists such as James Carter, Ted Curson, Nancy Wilson, Quincy Jones, Ashford & Simpson and Stanley Turrentine. Kimpedro Rodriguez is product of the culturally diverse Spring Garden section of Philadelphia. Rodriguez is a visual artist and musician with 20 years of writing, recording and performance experience. For Rodriguez, merging bombastic rhythms of Latino and African American drummers and percussionist are the soundtrack of everyday life. He is co-founder of The JazGuardian musicians organization with guitarist, DMHotep and percussionist Robert Kenyatta. Rodriguez created Kimpedro's NU GRuV Network in 2012, after 20 years of corporate, public and private service with Jazguardian. NU GRuV Network is a collective of artists - visual, recording, performance artists, composers arrangers, photographers, producers. Jazz Walk-Giant Steps was recorded live at East Fairmount Park in September 2016 and edited at Lynasha Studios. This mixtape is a production of The Philadelphia Jazz Project; which is a sponsored project of Culture Works|Greater Philadelphia, with funding provided by The Wyncote Foundation. Special Thanks: Kathryn Ott Lovell - Commissioner: Philadelphia Parks & Recreation, Kelly Lee - Chief Cultural Officer: Philadelphia Office of Arts, Culture and the Creative Economy, Chip Powell, Steve Rowland, Karen Smith, Bill Johnson, Lynn Washington, J. Michael Harrison, James Solomon, Asha Jackson, Julia Lopez, Melissa Talley Palmer and Stephanie Seiple.